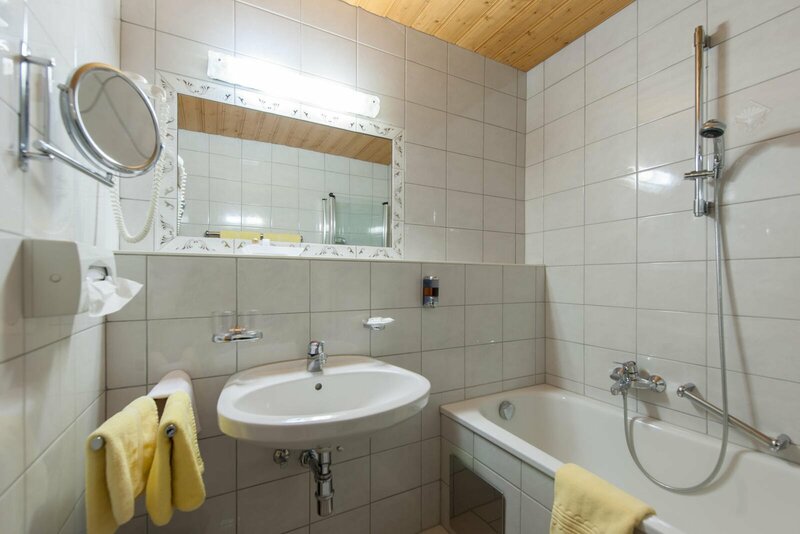 Ideal family vacation in Tyrol: the suite in the Jagdhof Obergurgl. Lots of room for you, your partner or family - a relaxation oasis. 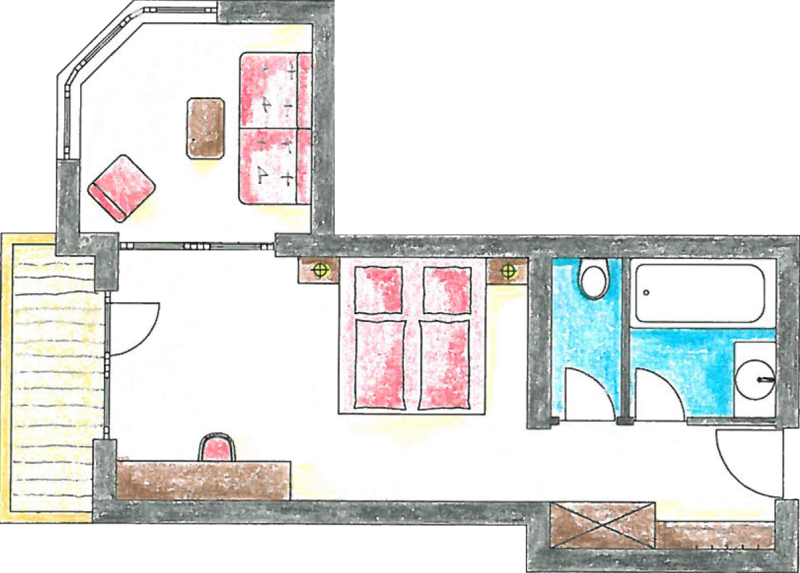 40 m² (431 sq.ft.) give you plenty of room in the suite. Enjoy the view out the large window from the comfortable couch in the living room. The window also allows for lots of light to suffuse the room. You can see the balcony from your bed and let the first rays of the sun wake you up. There is sufficient space for four people to feel at home and have a felicitous vacation. Cot available upon request. 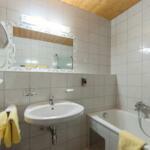 The suite is furnished with cable TV, hair dryer, make-up mirror, radio and phone. Put your valuables in the safe. The large closet offers plenty of space for your suitcase, bags and clothes. Here is everything for a perfect stay. Relax in the sun on the balcony, put up your feet on the couch and read a good book. Watch a suspenseful thriller from your comfortable bed at night. You'll soon slip into dreams in your divine beds and wake up in the morning refreshed and relaxed. 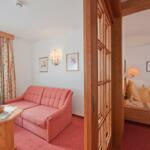 A suite in the Hotel Jagdhof is more than just an accommodation - it is a wonderful retreat where you'll love to stay. Select the most pleasant way to spend your vacation. 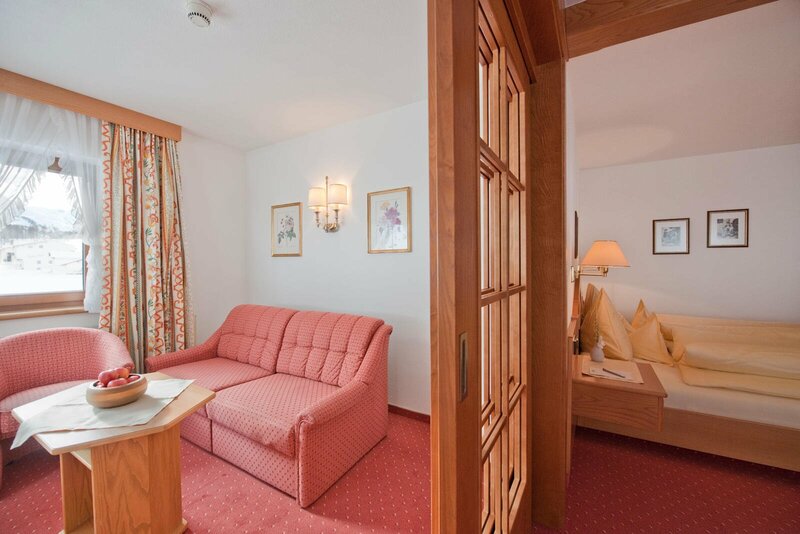 If you stay at the hotel for longer periods of time or if you need more room, choose one of the suite of the Hotel Jagdhof Obergurgl - you'll love it.